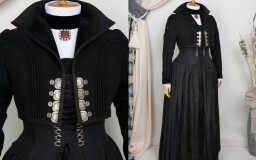 Modern interpretation of a traditional austrian garment. 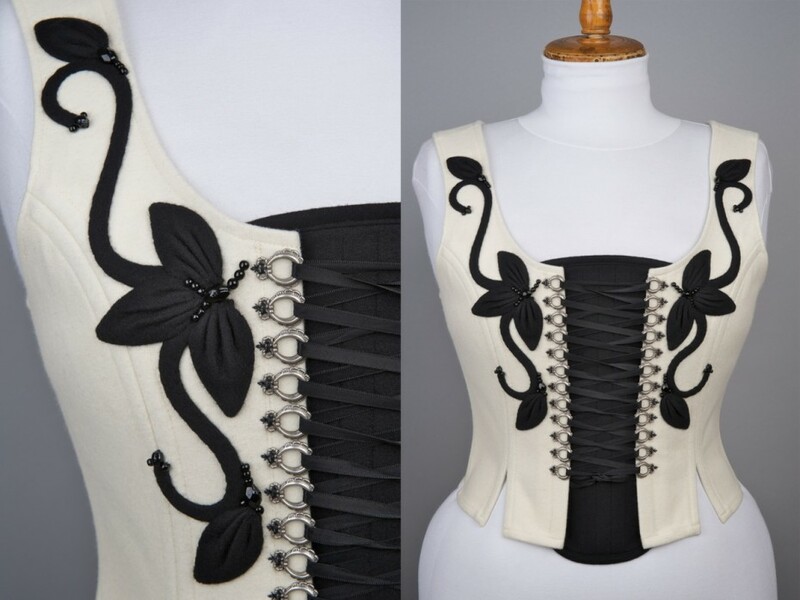 This bodice is made from black and white loden, metal lacing rings and black glassbeads. There’s also a lot of metal boning along all seams to provide a perfect shape. To be worn with a black blouse or shirt and a black skirt, either wide (traditional) or short and tight fitting (modern).